Enspire’s Group Sales Director, Mr Garry White, announced today that Enspire Australia has been named as a Microsoft Tier 1 Cloud Service Provider. “This is quite an accolade for Enspire and I am really pleased to inform our clients, both old and new, that we now have direct access to Microsoft for reselling any Microsoft licenses under the Cloud Services Program,” he said. Microsoft has assessed Enspire as meeting the high standards required to service businesses who use the Microsoft product suite. When clients partner with Enspire, as a Microsoft Tier 1 Cloud Service Provider, they will have access to the power and scalability of the Azure Cloud, whilst still receiving the renowned personalized service of Enspire - a company that is committed to client success and takes the necessary time and effort to achieve it. 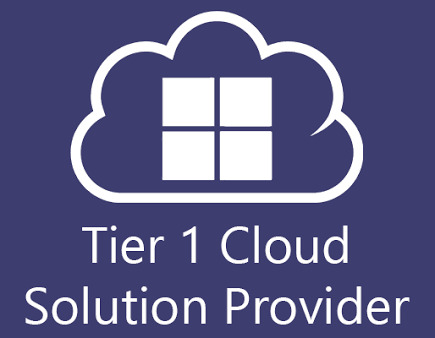 Working with a Tier 1 Microsoft CSP partner means you’re teamed up with an organization that has invested in its own infrastructure and demonstrated its support and billing capabilities are up to Microsoft standards. In other words, Enspire can deliver the quality of service that Microsoft demands of itself and its partners. It also means that Enspire has a direct line to Microsoft – so when new developments come down the pipeline or issues need to be escalated, you aren’t waiting on a distributor to pass the message along. There has never been a better time to discuss your cloud strategy with Enspire Australia. Call and speak to one of our experts today.